Arthritis is a chronic disease that has a devastating and debilitating effect on the lives of more than 6 million Canadians. In Quebec, approximately 1.2 million people – or 1 in 7 – are living with osteoarthritis (OA). Within a generation (30 years), it is anticipated that 2.4 million Quebecers – or 1 in 4 – will be living with OA and one person in Quebec will be diagnosed every 5.7 minutes. In Quebec, approximately 70,000 people are living with rheumatoid arthritis (RA). The prevalence of RA is expected to rise by 67 per cent by 2030. ACE sent an open letter and a survey to candidates running in the Quebec election. As part of its core government outreach activities and in the spirit of non-partisanship, ACE outlines the impact of arthritis in Quebec and asks each candidate to share how government can improve prevention, treatment and care in Quebec. Will your government consider arthritis a health priority for Quebec and implement a high quality, standardized evidence-based model of arthritis care for all Quebec residents? What will your government do to improve the uptake of biosimilars and increase accessibility to life saving medications and reduce out-of-pocket costs for Quebec residents living with inflammatory arthritis? What will your government do to improve the healthcare and lives of Aboriginals living with arthritis in Quebec? How will your government establish better prevention programs and facilitate flexible work arrangements to help reduce the direct and indirect costs of arthritis to Quebec employers and the Ontario economy? Will your government take steps to increase the number of rheumatologists and arthritis trained allied health professionals to ensure timely, specialized care for Quebec residents with arthritis? ACE will be collecting Party and individual candidate’s responses. Responses will be posted on QC Election 2018 section of ACE’s website as we receive them. If you have comments, questions, or concerns about any of the answers provided, please take the time to contact the parties. 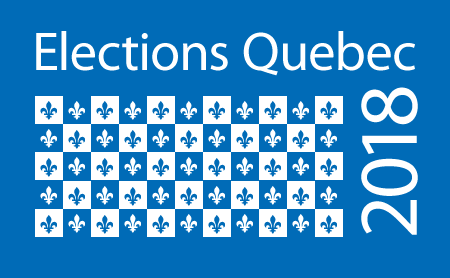 Please click here to view the contact information for the registered political parties in Quebec.